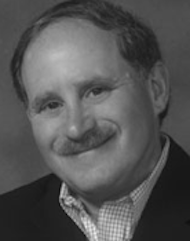 Professor Frederick Schoen, MD, PhD, has served as Professor of Pathology and Health Sciences and Technology, Harvard Medical School; Executive Vice-Chairman, and Director of Cardiac Pathology, Department of Pathology, Brigham and Women’s Hospital (BWH); and BWH liaison to the Center for Integration of Medicine and Innovative Technology. Professor Schoen’s research contributions have been in the areas of host-biomaterial interactions, structure-function-pathology correlations in heart valve substitutes and other cardiovascular prostheses, calcification of bioprosthetic tissues, cardiovascular tissue engineering, heart transplantation, and the validation of animal models of human cardiovascular disease. Professor Schoen is author or co-author of over 450 manuscripts in journals and books. He serves or has served on many national and international academic and governmental advisory committees, grant review committees and editorial boards, and is consultant and scientific advisor to numerous medical device companies.